Every year I have this dilemma. 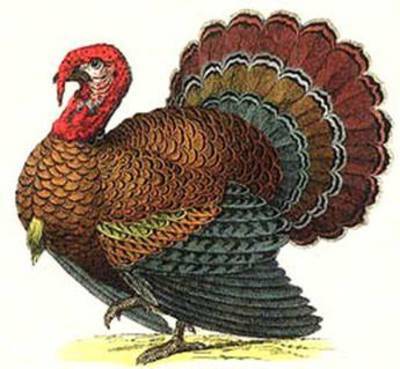 I start rummaging through my hundreds of recipes, cookbooks and foodie magazines seeking inspiration for the big meal, the meal of all meals, THANKSGIVING DINNER! Why I even spend time doing this is a mystery to me because there are absolutes that I MUST make every year or my family will revolt. I guess I should feel flattered that they like what I’m putting out there that much but sometimes you just want to mix it up a little. Except when you do and then it’s not as good as what you were doing before, you feel like a schmuck and wish you would have stuck with what works. Well, after spending almost a whole day last weekend watching The Food Network with my 7-year old aspiring chef of a middle daughter, we have decided to mix it up a bit on the desserts but keep all the other old favorites. Sounds like a winning compromise. Except for the fact that I can’t decide which dessert to make, they all sound so good! I posted my top three selections as my status on facebook one day and got so much feedback, I promised to blog all three recipes. 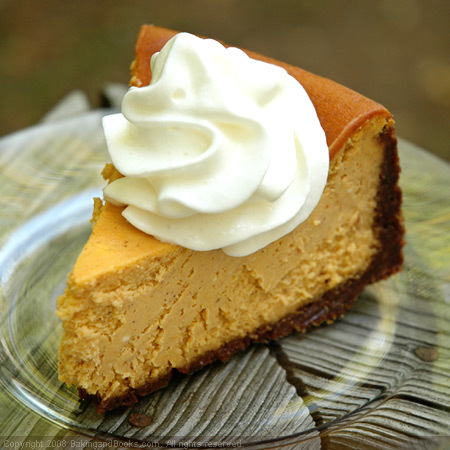 I think I’m going with the Pumpkin Cheesecake and the Pumpkin Rum Pie. Let me know what you decide! Preheat the oven to 375 degrees. Partially bake the pie shell, according to the package directions. 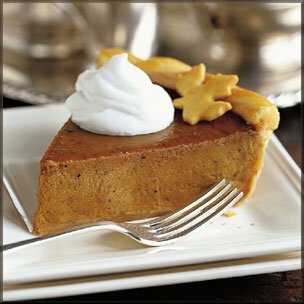 In a large bowl of an electric mixer, whisk the pumpkin puree, eggs, brown sugar, melted butter, 1 1/2 cups of the cream, sour cream, cinnamon, ginger, nutmeg, cloves, salt, dark rum and vanilla. Pour into the shell. Bake for 10 minutes, and then reduce the heat to 300 degrees. Continue baking for 35-45 minutes. Cool to room temperature and refrigerate until ready to serve. With the whisk attachment of an electric mixer, whip the remaining cup of heavy cream on high-speed until the cream starts to froth. Gradually add the confectioners’ sugar and whip on high until the cream stands in peaks. Either spoon or pipe the whipped cream around the edges of the pie and garnish with Praline Pecans. In a small skillet, melt the butter and sugar over medium heat. Add the pecans, stirring until bubbly; about 5 minutes. Remove from the heat and pour onto aluminum foil. When the pecans are cool, crumble into small pieces and sprinkle the topping on top of the whipped cream. Preheat the oven to 350 degrees. Add the gingersnaps to the bowl of a food processor and pulse until crumbly. Transfer to a large bowl and add the melted butter. Stir until evenly mixed. Press the mixture into the bottom of a 9-inch springform pan with 3-inch sides. A cool trick I learned on the Food Network is to take your flat-bottomed measuring cup, wrap it in plastic wrap and use it to press the mixture into the pan. Your hands don’t get dirty and it does a very even, nice job of it! Bake the crust until golden brown, about 10 minutes. Remove from oven and let cool completely while you prepare the filling. Change oven temperature to 450 degrees. In a large mixing bowl, beat the cream cheese until smooth. Mix in the sugar, flour, salt, spices and vanilla to blend. Add eggs, one at a time, beating well after each addition. Stir in pumpkin and blend. Add sour cream and blend thoroughly. *I have never baked this particular cheesecake recipe in a water bath but saw it on the Food Network and decided to update this recipe with this technique because you certainly don’t want cracks in your beautiful cheesecake! Wrap the sides and bottom of the springform pan with heavy-duty aluminum foil. Pour the filling into the prepared pan, smooth the top and put it in a small roasting pan. Pour hot water into the roasting pan, filling halfway up the sides of the springform pan, about 1 1/2 inches. Bake in 450 oven for 10 minutes. Reduce heat to 250 and bake for 1 hour and 10 minutes longer. Turn off oven; cool completely in oven with door ajar. Chill for at least 4 hours before serving. The Neelys (Food Network again) served their version of Pumpkin Cheesecake with a Cinnamon Whipped Cream that sounded yummy. Pour the heavy cream into a large bowl and beat with an electric hand mixer until thick and frothy. Add the confectioners’ sugar, vanilla and cinnamon and beat until medium peaks form. Preheat the oven to 400. In a large bowl, combine flour, sugar and cardamom or cinnamon. Set aside. Peel and core the apples and cut into 1/4-inch thick wedges. Peel and core the pears, cutting the wedges slightly thicker. Add the fruit, including the cranberries, to the flour mixture. Toss gently to coat. Pour filling into prepared pie crust and dot with butter pieces. Top with your 2nd rolled out piece of pie dough and crimp edges to seal. Prick with a fork or cut out a decorative design in the center of the dough to vent while cooking. Bake 15 minutes and then reduce heat to 375 degrees and continue baking until pastry is golden brown and fruit is bubbly about 35-40 minutes. Serve with ice cream or fresh whipped cream. « To have your mammies grammed or not, that seems to be the new question.